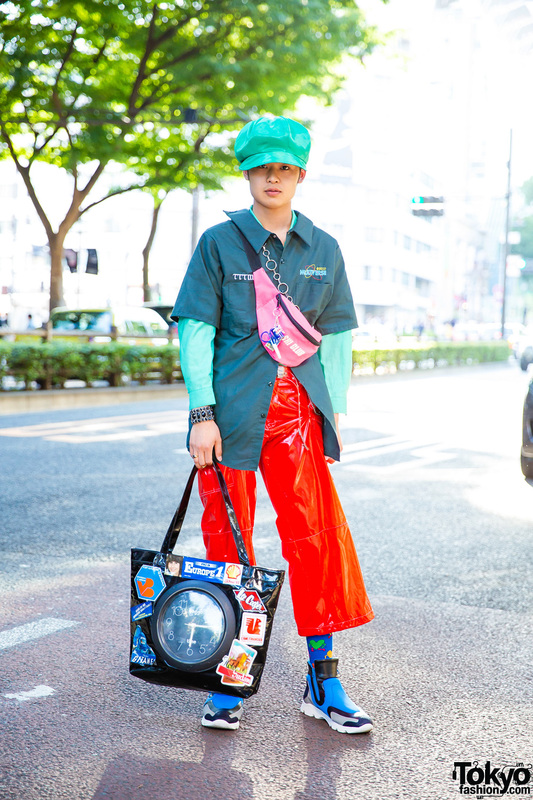 Harajuku girls sporting casual styles with plaid skirt, short overalls, clear sling bags and patent leather shoes. 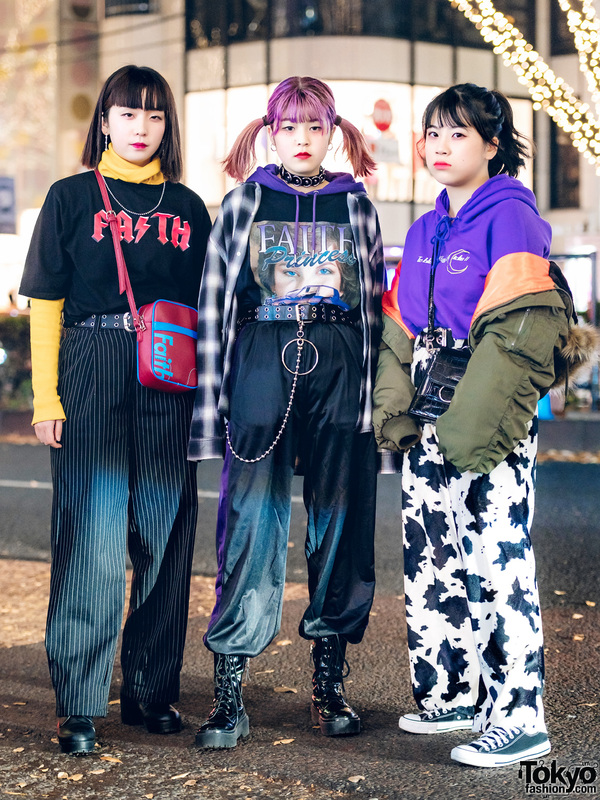 Harajuku girl wearing a faux fur jacket, layered tops, plaid skirt and platform lace-up shoes while out on the street one evening. 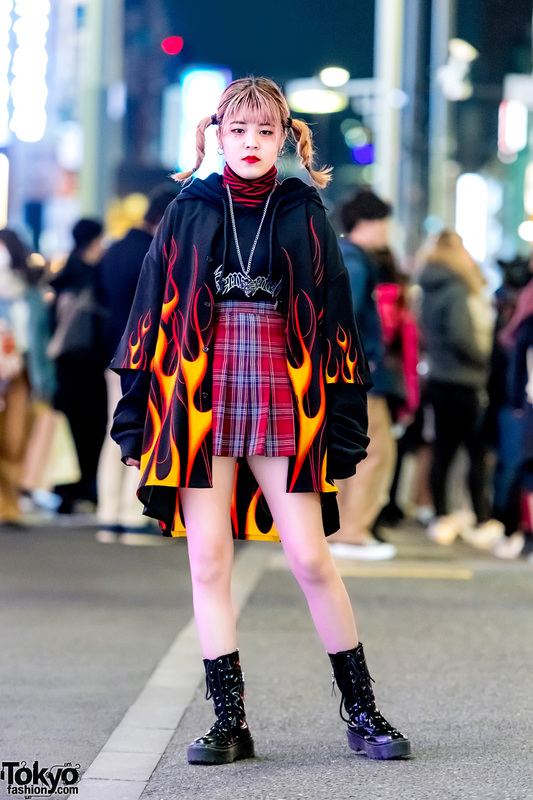 Japanese student in flame print jacket and red plaid skirt while out in Harajuku.